Allan McGregor is likely to face no retrospective action from the Scottish Football Association after an incident during Sunday’s game between Motherwell and Rangers. The Rangers goalkeeper landed on Motherwell captain Peter Hartley after a coming together of players following a corner during the second half of the 3-3 draw at Fir Park. The incident sparked pushing and shoving in the Rangers box between players on both sides. Motherwell's Peter Hartley (bottom) and Rangers goalkeeper Allan McGregor collide. However, the SFA compliance officer is understood to have decided there is no case to answer. 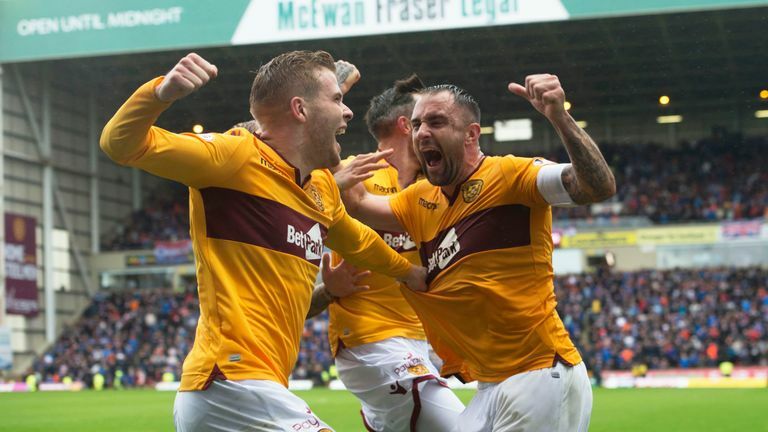 Hartley, who had been forced to apologise for comments made in the build-up to the game, scored a 94th minute equaliser to secure Motherwell's first point of the Scottish Premiership season. McGregor re-joined Rangers in the summer on a two-year deal and had conceded just three goals in eight appearances before Sunday's game.